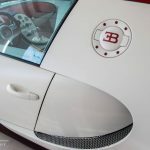 Because the Bugatti Veyron has been produced for almost a decade, a host of uniquely finished examples have rolled off the production line. 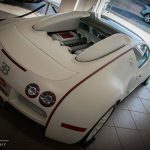 The following Veyron you see pictured here is one of the most unique. 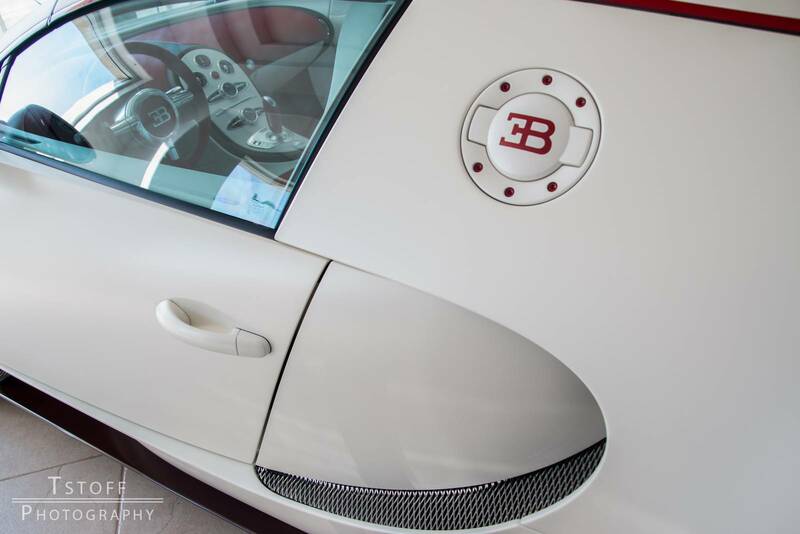 Finished in a stunning shade of matte white with a hint of light pink about it, this Veyron immediately catches your eye. This unique paintwork is then matched by a set of custom Veyron wheels hiding massive red brake calipers. 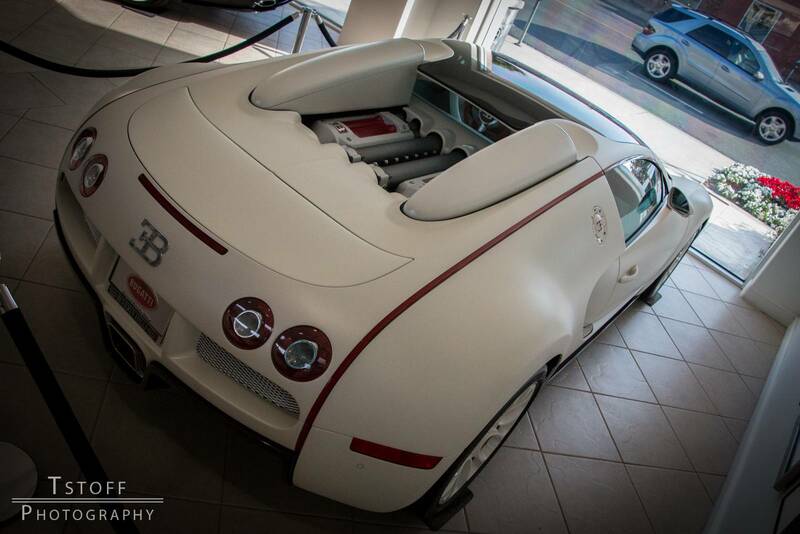 This matte white and red combination continues throughout the rest of the vehicle. It features unique dark red carbon fiber side sills and a uniquely finished gas cap. The engine also features custom red accents and a stunning dark red carbon fiber rear diffuser matching the aforementioned carbon side sills! The theme is also carried into the cabin with it featuring a host of red leather and Alcantara components. Additionally, if you look closely, the car features a custom red crocodile leather shifter! 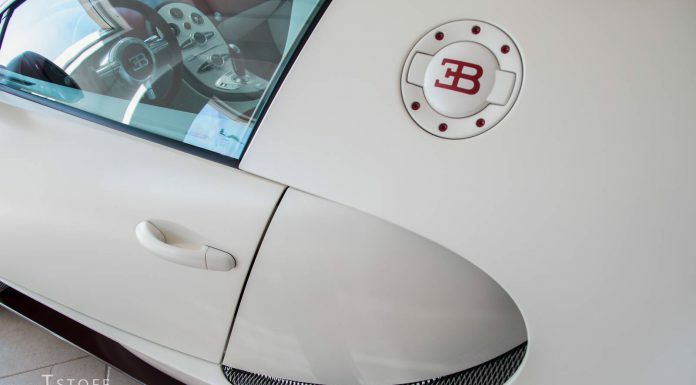 The story behind this Bugatti Veyron is also just as notable. 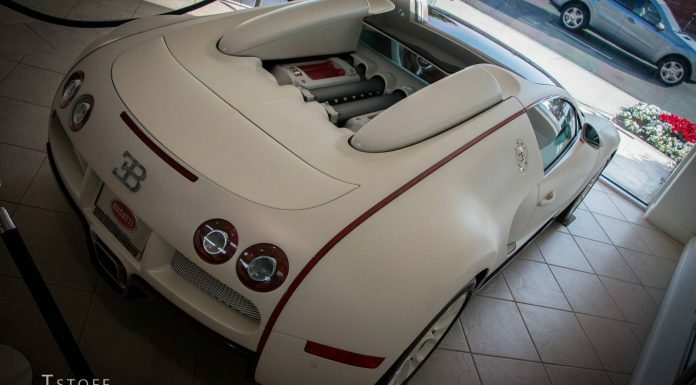 This Bugatti Veyron is actually owned by rapper and former ‘Pimp My Ride’ host Xzibit. We haven’t previously seen the car on the road before, but Xzibit did take it on the Gumball 3000 in 2012!